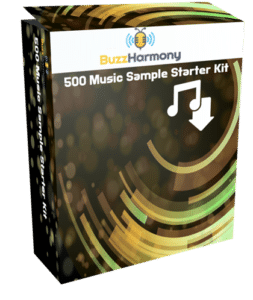 Everyone gets tired of using a basic Digital Audio Workstation – quickly. Sure, you purchased one of the best and it has been doing a great job so far. But something is still not right. Sure your beats are phat and everyone who listens to them can’t help but bob their heads and tap their feet. But you know better. You can “feel” a certain missing element in your music. I may not be psychic but I think I know what your DAW and music need – and it’s one word. Okay, that’s 3 words, but you still need these plugins. Your music depends on them. When it comes to music engineering, few people understand all the intricate elements like Chris Lord-Alge, the man instrumental in Wave’s CLA series. Having engineered for legends like James Brown, U2, Chaka Khan, Tina Turner, and a whole lot more (including soundtracks to some of your favorite movies like Rocky and Batman), Chris Lord-Alge must know something about music processing for sure. And that is why you can swear by CLA Waves plugins. They are engineered to perfection, literally. It’s like having Chris himself working right beside you. And that coupled with a dynamic digital audio production software is a sure recipe for a chart-topper – mixed by you of course. It’s undeniably true that where ever you may be and whatever station you may be tuned into, you will hear Chris’ music – and without knowing it at times, but that won’t stop you from bobbing your head as you drive down the road. The beauty of Waves CLA classic compressors is that they are actually Chris’ very own stellar presets at your disposal. And if there is one technique that has made Chris a legend, it’s his compression techniques, and with Waves CLA Classic Compressors, those techniques are yours too (without paying the hefty fee Chris commands). Whether it’s a classic tube compressor, a subtle harmonic distortion or a leveling amplifier you are looking for CLA Waves plugins have it all. No need to stress or waste time fiddling with anything, simply use the amazing presets to create the sound you are looking for. 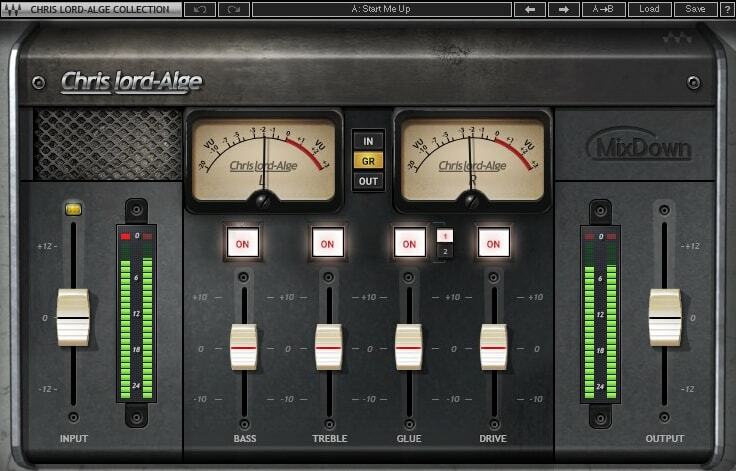 And now you can get the CLA Classic Compressor bundle and complete your virtual studio in a few clicks. Music processing has never been this easy – and fun. Two, out of the many, compressors you will enjoy working with from this bundle are the Waves CLA 2 and the Waves CLA 76 compressors. let’s take a closer look at them. Use the CLA 2 to add that classic compression with a tube flavor to your mixes. Programmed to emulate the electro-optical tube compressor, the CLA-2A is so good you won’t even be able to spot the difference as it gives you the original Teletronix LA-2A’s smooth, frequency-dependent behaviors that made it a favorite tool for engineers. Waves CLA 2 really shines on anything you add it to, rather, it makes everything shine. Whether it’s a vocal, guitar, bass, or whatever you throw at it, the CLA 2 will give you an output sound beyond your expectations. The CLA-76 comes in two versions – “Blacky” and “Bluey”. Both versions of Waves CLA 76 were inspired by two versions of a mid-’60s Class A line-level limiting amp and offer a super fast attack and a pre-amp distortion to give you drum sounds that a drummer’s dreams are made of. 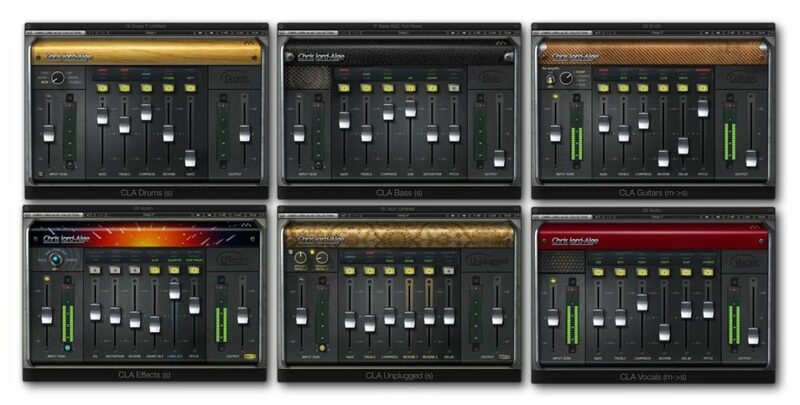 The Waves CLA plugins lineup would not be complete without a Waves CLA Vocals plugin review, after all, vocals do make up a major component of music production. The very first thing you will notice and love with this plugin is the beautifully designed and super easy to use interface – even for beginners. It has a fader for input level, another one for output level, and 6 faders for the 6 effects/parameters that the Wave CLA Vocals comes with. The layout is also simple and easy to master – from left to right the effects you control are, bass, treble, compression, reverb, delay, and pitch. One cool thing about the Waves CLA Vocals plugin is the pitch – it acts as stereo spreader/doubler, that can give a bit of chorusing effect. The statement above is not a marketing statement. It is a fact for all who are serious about taking their music production far – after all, you are riding on Chris Lord-Agle’s wings.